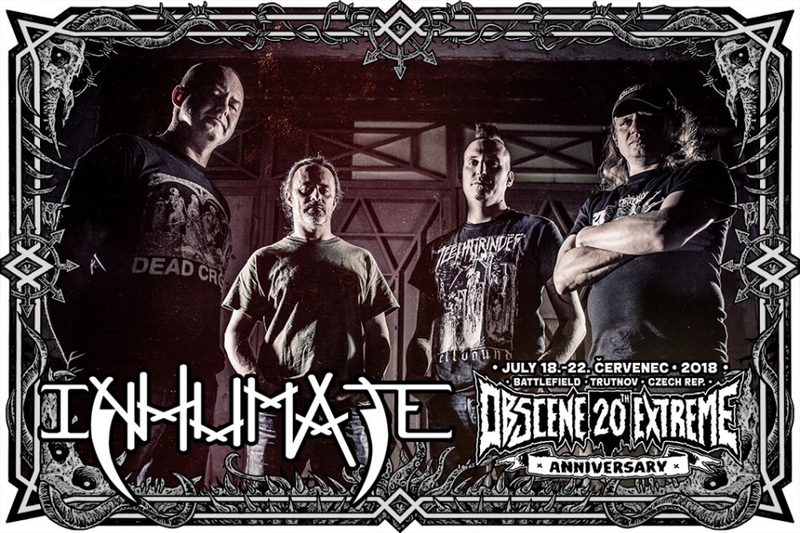 The French band INHUMATE has been serving their 27th season and they are the next blast at the OEF 2018!!! These guys definitely do not need any big introduction as every fan of extreme music and especially the OEF fans know them very well. It will be the sixth time for them to play at the OEF after all. Started as a death metal band but their music moved more into the extreme grind core territory following a line-up change. Since then the band enjoys a great respect from the whole extreme scene for their D.I.Y. attitude. The members of the band keep coming to the OEF for years as the fans of extreme music, so you will not have any trouble meeting them and having a chat. We are proud to have these „workmen“ of grind core back at OEF!!! And we hope you will prepare a very warm welcome to them!! !